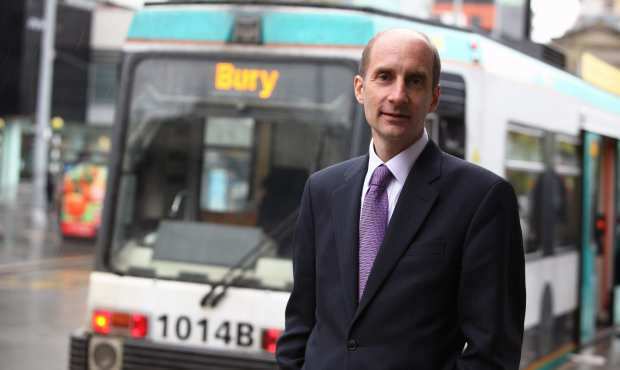 Lord Adonis, who was responsible for the inception of HS2, classified opponents of the project as a “Narrow NIMBY opposition”, and once said he was “Horrified” that the Stop HS2 campaign had been allowed to have a stand at Labour Party Conference, has been appointed as a non-executive member of the HS2 Ltd board. Andrew Adonis fails to see the subliminal message in this photo. What will most likely be the biggest concern to those affected by HS2 is that last year, when giving evidence to the House of Lords Economic Affairs Committee, Adonis dismissed the idea that increasing costs of construction were relevant, but that costs rising specifically due to additional mitigation would weigh on him. Also in that evidence session, Adonis admitted that he “Couldn’t be certain” if HS2 would lead to economic growth, and that he had always been sceptical of benefit-cost analyses. The appointment is short of becoming a dedicated HS2 minister as Adonis was fishing for in 2013, and is certainly an attempt by Government to try and shore up flagging support for the project. While polling has shown the public have remained firmly against the project since 2012, the Government until now has always been oblivious to this whilst there has been cross-party support in Westminster. It is likely that this is the real reason for the appointment of Andrew Adonis, to try and shore up Parliamentary support as that cross party support is slowly crumbling. The SNP cannot be expected to support the project if their demands to either have an extension to Scotland or Barnett Consequentials are met. In other parts of the country, the pausing of electrification, coupled with what are certain to be more cuts when Network Rail report back in Autumn, will surely see more questions being asked about the prioritisation of HS2. Perhaps most relevant to Adonis is the fact that Andy Burnham has been the first Labour leadership candidate to break ranks and question the need for HS2. At Labour Party Conference in 2014, Adonis proudly boasted that he had helped a handful of Northern Councils “Demonstrate their power”, and make the party stick with its’ commitment to HS2, after then Shadow Chancellor Ed Balls had questioned whether it was “The best way to spend fifty billion pounds”. Adonis will be paid £950 per day for approximately 2 days per month. 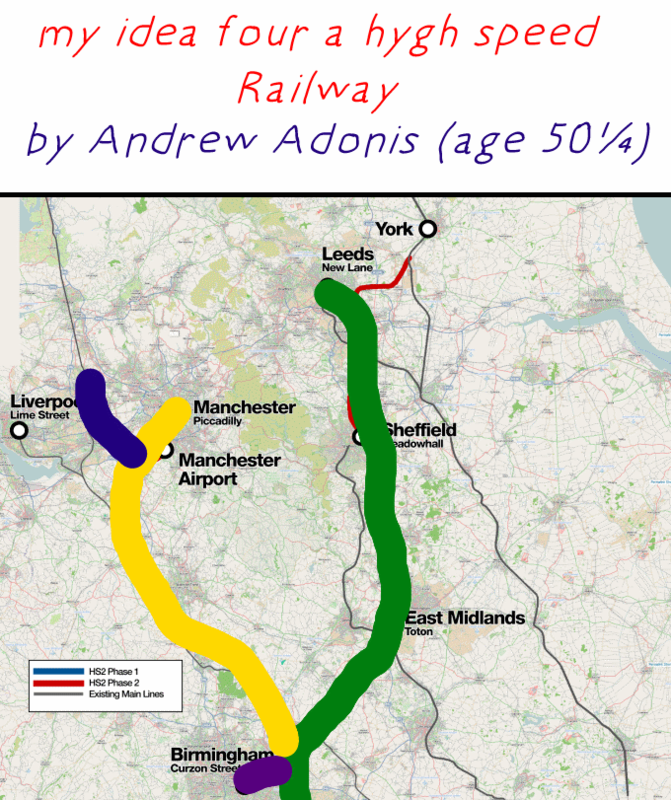 Adonis in favour of HS2, well he would be, wouldn’t he! HS2 has yet to be debated, rationally. Adonis is, as usual, selective when promoting the business case, at best long distance business travel of all kinds has plateaued, for OBVIOUS REASONS, and the BCR may be only around 1.0. For potential HS2 trips to Birmingham, add 20 minutes as you have to change stations and it might take longer if you have to wait for a connection, not mentioned by Adonis, of course. It is only businessmen who MIGHT use HS2, not the general public, who will go the cheapest way not the quickest, if they want to get somewhere quicker, guess what, they’ll leave earlier! City mayors who are on a “vanity trip” are out of touch, the big backers remain builders & engineers,not business people, a good deal of the work will go to foreign companies. It is alleged the Treasury are working on the potential cost at 2018 prices, will they release the figures, or will they quote “confidentiality”. And, who is potentially funding this nonsense, the Chinese? Icarus the son of Daedalus dared to fly too near the sun on wings of feathers and wax. Daedalus had been imprisoned by King Minos of Crete within the walls of his own invention, the Labyrinth HS2 HS3 et al. He would not suffer captivity. He made two pairs of wings by adhering feathers to a wooden frame with wax. Giving one pair to his son, he cautioned him that flying too near the sun would cause the wax to melt. But Icarus became ecstatic with the ability to fly and forgot ther warning. The feathers came loose and Icarus plunged to his death in the sea. Lord Lawson and Lord May advised to have more sense and think again. From Hoone’s confuse statement to Adonis and Hammond and Greening and now the DFT people is this more about personal irresponsibility. AP1 AP2 poor route, hill in the current Chilterns tunnel and route reductions dither over East Midland and claims of Victorians not getting North and South railways in balance. The MPs getting more for more poor politics and economic gains, rising inflation and now Cameron and Osborne sharp practices on local devolution rising unemployment less jobs for the British. Desperation is an under statement. Off the rails UK where is a new Labour leader to bring about change not more pontification.